A U.S. District judge ruled Tuesday that the Kansas Second Amendment Protection Act does not shield Kansans from being prosecuted under federal gun control laws. Judge J. Thomas Marten handed down the decision, which upholds federal charges against Shane Cox and Jeremy Kettler and will allow their sentencing to take place on Monday. Last November, a jury found Cox guilty of violating federal law for manufacturing and selling suppressors. Cox reportedly did not have the proper licenses, pay the necessary tax or register the items in accordance with the National Firearms Act. Kettler was found guilty of purchasing an illegal suppressor from Cox. 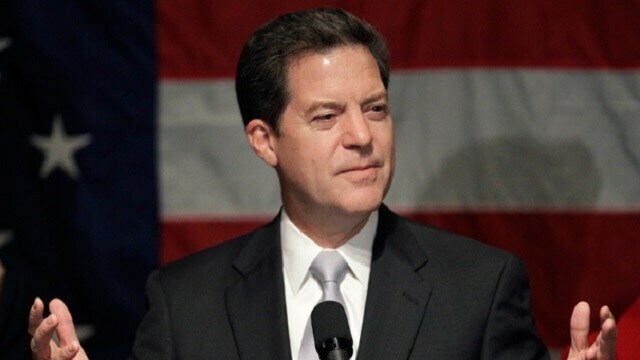 The Kansas Second Amendment Protection Act, signed into law by Kansas Gov. Sam Brownback in 2013, was enacted to exempt all guns, ammunition and accessories from federal gun control regulations in the state. Similar exemptions have been signed into law in eight other states, which may come under further scrutiny after Judge Marten’s ruling. This oath requires a judge to uphold the Constitution and laws of the United States, as interpreted by the United States Supreme Court and the Tenth Circuit Court of Appeals. Where there is a decision on any point of law from the Supreme Court or the Tenth Circuit, or both, I am bound to follow those decisions. This is true whether the decision is absolutely identical, or whether it sets out a principle of law that applies equally to different facts. As a district court judge, I am not empowered to do what I think is most fair – I am bound to follow the law. Marten went on to state that silencers are included in the National Firearms Act as items that must be registered and taxed. Defense attorneys had argued that the National Firearms Act violates the Second and Tenth Amendments, the Lawrence Journal World reports. The attorneys said the NFA, enacted by Congress as a part of the Internal Revenue code, is unconstitutional because it imposes “regulatory punishment” rather than a valid federal tax. Marten also shot down the Second Amendment arguments, citing the case Dist. of Columbia v. Heller, in which the Supreme Court ruled that laws “imposing conditions and qualifications on the commercial sale of arms” are not in violation of the Second Amendment. The Lawrence Journal World reports that Kettler’s attorney, Ian Clark, has asked the judge for a lenient sentencing, saying the two men thought the Kansas Second Amendment Protection Act would protect them from federal prosecution. “Now that this prosecution has taken place and received fairly wide media attention, any need for deterrence has been satisfied simply by making the community aware that the federal government will prosecute possession of firearm accessories like these regardless of the Kansas law,” Clark said.